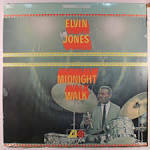 Mr. Jones, a fixture of the Coltrane group from late 1960 to early 1966 and for more than three decades the leader of several noteworthy groups of his own, was the first great post-bebop percussionist. Building on the innovations of the jazz modernists Kenny Clarke and Max Roach, who liberated the drum kit from a purely time-keeping function in the 1940’s, he paved the way for a later generation of drummers who dispensed with a steady rhythmic pulse altogether in the interest of greater improvisational freedom. But he never lost that pulse: the beat was always palpable when he played, even as he embellished it with layer upon layer of interlocking polyrhythms. In 1956 after briefly touring with the bassist Charles Mingus and the pianist Bud Powell, Mr. Jones moved to New York, where he was soon in great demand as an accompanist. He occasionally sat in with Miles Davis, and he later recalled that Coltrane, who was then Davis’s saxophonist, promised to hire Mr. Jones whenever he formed his own group. In the fall of 1960 Coltrane made good on that promise. Coltrane’s quartet helped redefine the concept of the jazz combo. Mr. Jones and the other members of the rhythm section, the pianist McCoy Tyner and the bassist Jimmy Garrison, did not accompany Coltrane so much as engage him in an open-ended four-way conversation. Audiences found the group’s intensity galvanizing, and many critics shared their enthusiasm. But despite its popularity, the group divided the jazz world. John Tynan of Down Beat magazine dismissed its music as “anti-jazz,” and others agreed. Mr. Jones’s drumming, a revelation to some listeners, was dismissed by others as overly busy and distractingly loud. Mr. Jones left the group in March 1966, shortly after Coltrane, as part of his constant quest for new sounds, began adding musicians. 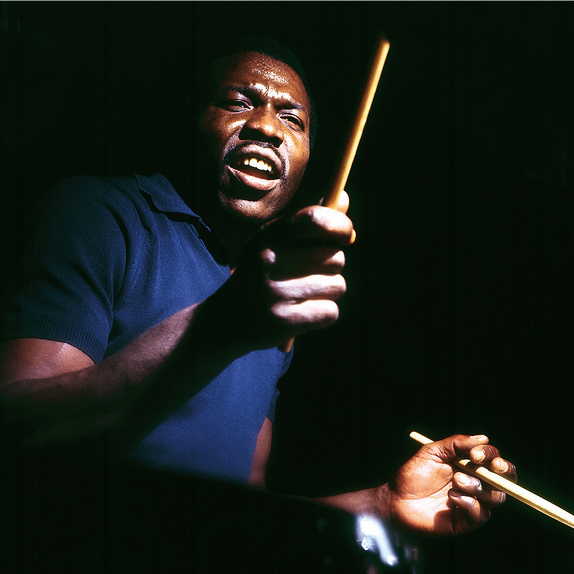 Although he never publicly explained why he left, he was widely believed to have been insulted by Coltrane’s decision to hire a second drummer. Mr. Jones spent two weeks with Duke Ellington’s big band and briefly worked in Paris before returning to the United States, where he formed a trio with Garrison, who had also recently left Coltrane, and the saxophonist Joe Farrell. That group was short-lived, but Mr. Jones continued to lead small groups for the rest of his life. 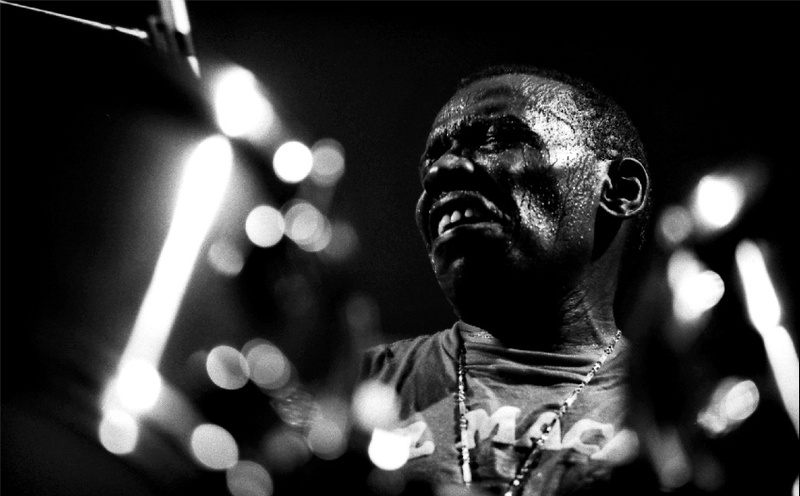 Over the years many exceptional musicians passed in and out of the Elvin Jones Jazz Machine, as the ensemble came to be known in all its various incarnations, and the group performed regularly all over the world and recorded prolifically.